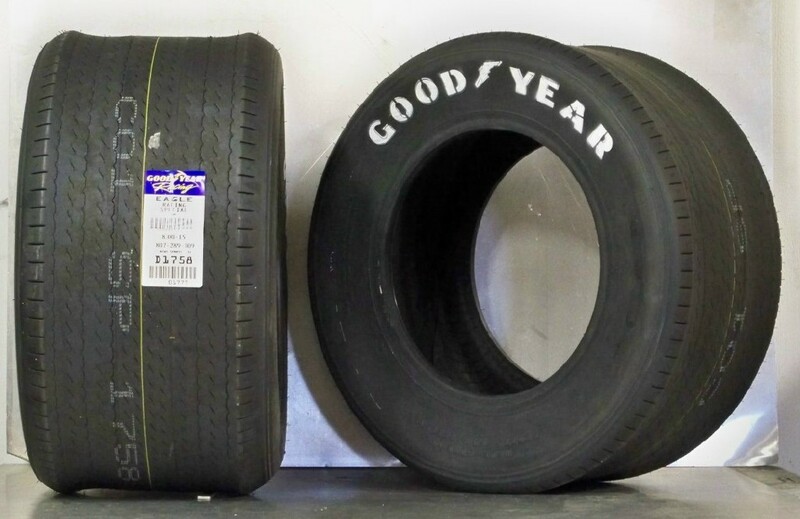 The ever popular Goodyear Eagle Billboards and Blue Streaks for Vintage Racing . 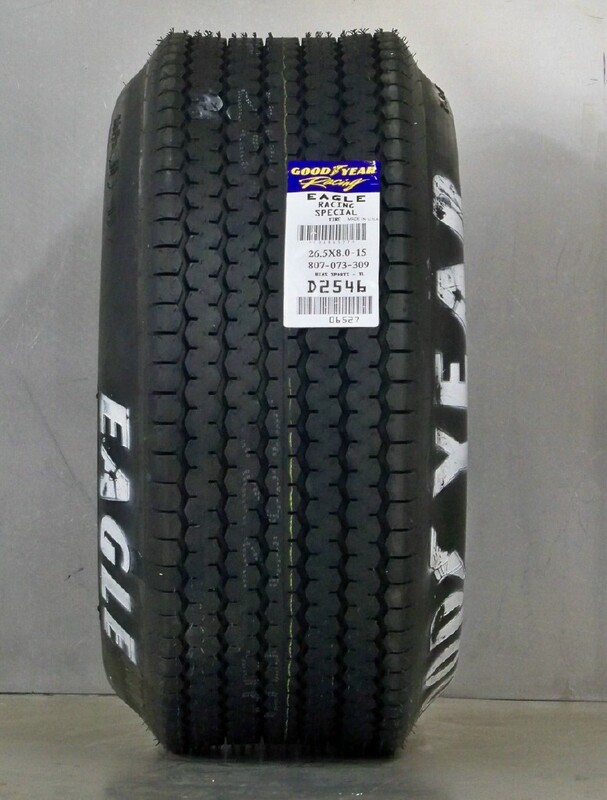 For that period look ,tall meaty tires that will fill your wheel arches and make your replica look like it should. 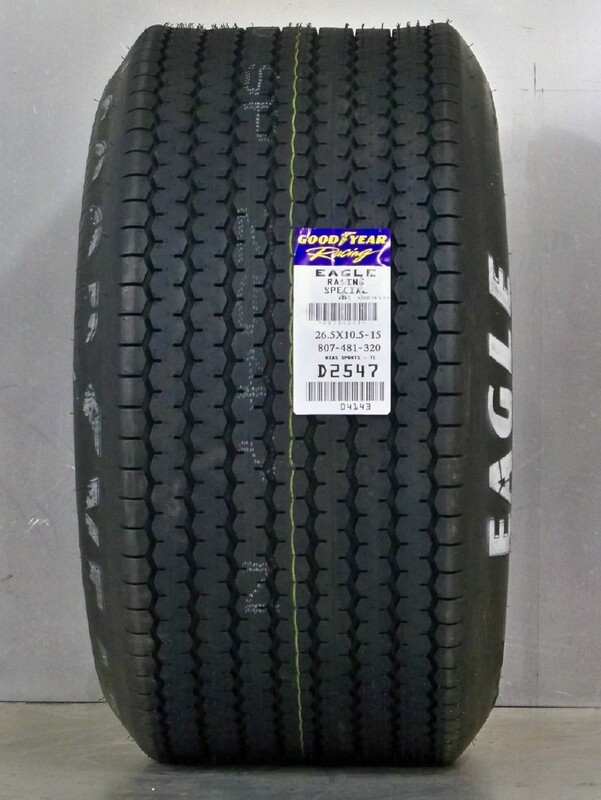 Please note these tires are NOT DOT approved and are sold for show cars and vintage racing . They are Bias ply construction (60s racing technology) the steering on the car will be more sensitive and they do not ride as smooth as modern radials. They can also be difficult to balance , a good tire installer should be chosen !! 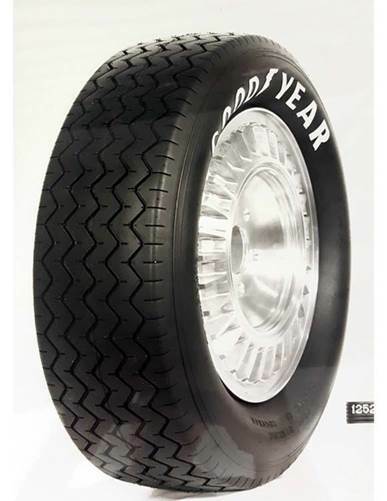 The tires are also clearly marked on the sidewall NOT FOR HIGHWAY USE . 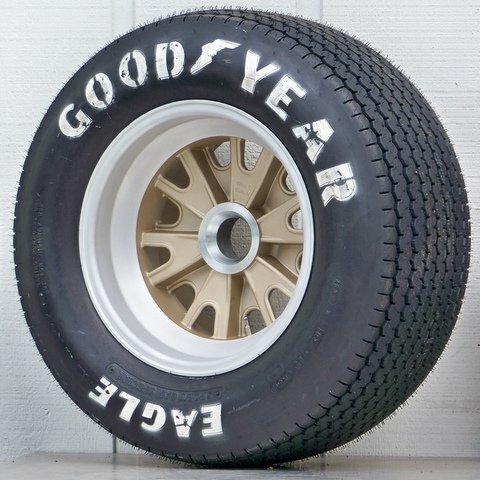 The white lettering is spray painted at Goodyear and is not perfect , varies from one tire to the next. Please note we cannot accept return on these tires. 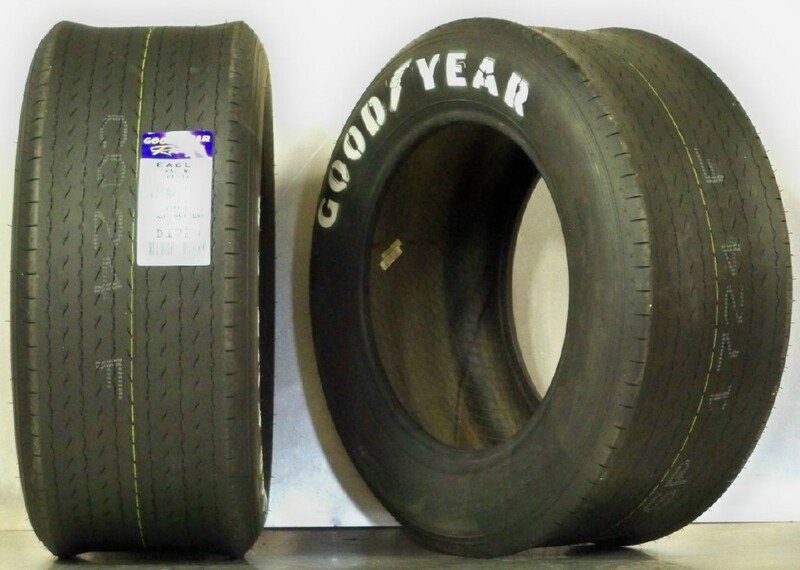 (except in the case of a manufacturers defect and which Goodyear Racing agree to the claim) PLEASE TAKE NOTE OF THE ABOVE ! !